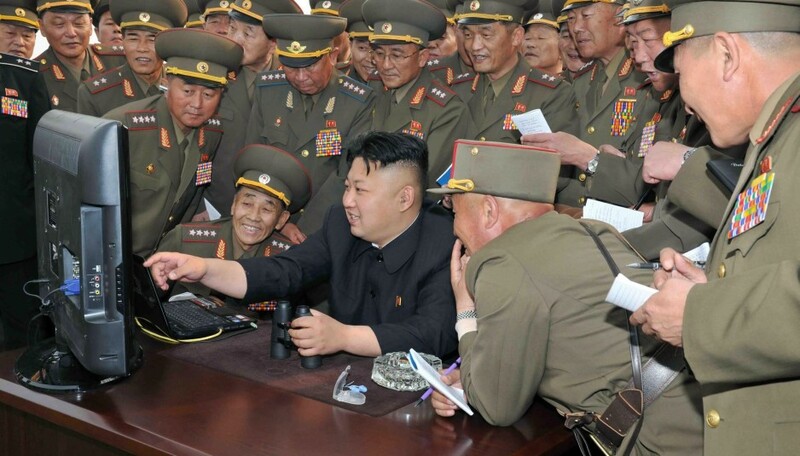 Kim Jong-un and project scientists reviewing a test toss. According to government sources, the weapon is designed with strong, high-grip handles located along the horizontal axis with which approximately 17 to 24 burly men can use to lift, carry, and throw. Thanks to state-of-the-art advancements in aerodynamics, the hydrogen bomb can achieve an estimated range of up to 27 yards, provided that the weather is good and the carriers “really put their back into it,” said engineers. They also reported that, if launched correctly, should have a good shot at tossing the device over the border and into South Korea. Though confident in the sheer power they now possess, a recent military leak revealed that the government is currently working on a secret large slingshot prototype that, according to blueprints, will triple the range of the device. At press time, inside sources reported that the North Korean government was soliciting people well-nourished enough to lift the bomb.